It’s always been what i want. 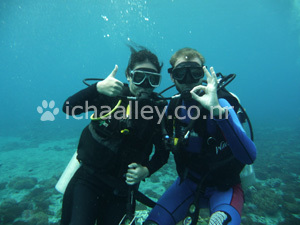 From first time i saw my partner’s pic in his diving equipment, i was like..wow that looks cool! I fell in love with diving and probably him (hoho), at that time i thought about how cool i’ll look in wetsuit, BCD and those equipments :blush:. And then he became my beloved partner, he told me about his diving trip and he took me to Gili Island, i accompanied him on boat when he went diving and i went snorkeling (my first time snorkeling in 30 mtrs open water), it made me kinda curious and interested more and more in diving. 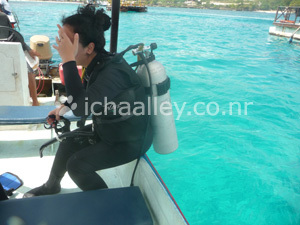 I said to him maybe for hundred times that i want it, i want to go diving so bad!! He didn’t allow me to take diving course at first. He was just too worried about me, because it’s too risky he said. He taught me skills that i will need if i want to take the course, and also told me about its risks. I have been learning it for a year, started with basic skills like swimming properly (of course! 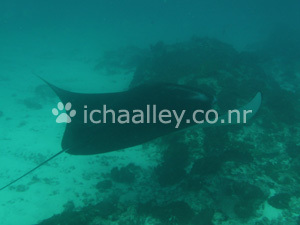 ), swimming underwater, etc. But he kept saying that i’m not ready yet. Sometimes it made me kinda frustated, upset at him, and dropped my desire to it. That still happened until the last minute before my course started. Now i thank him for bringing me to Lembongan Island on last April, introducing me to the whole new world that i’ve always wanted to be in. So how can I explain what this course is really like? Well, first of all, some hard and painful truths. It feels strange at the first time, mask, regulator, fins.. it feels as strange as if I’d woken from a dream and found out it was real. This course is not for everyone. Despite the upbeat patter of the Go Dive text book and the rose-tinted reports of those who might have done it, the course imposes genuine mental and physical demands. You will need to carry heavy weights on dry land for reasonably long distances. You will need to be surefooted on slippery rocks with a heavy tank trying to push you head over heels. You will also need the self-control to overcome some of your most powerful instincts. You’ll have to be able to stick a foreign object in your mouth while drowning when every sinew in your body is telling you to clear it. You’ll need to be able to trust in equipment and dive tables and your instruction when there’s water in your throat and your eyes and for a metre above you. You’ll need to be able to follow procedures calmly when your life depends on it. On the other hand, the course is also intensely rewarding. 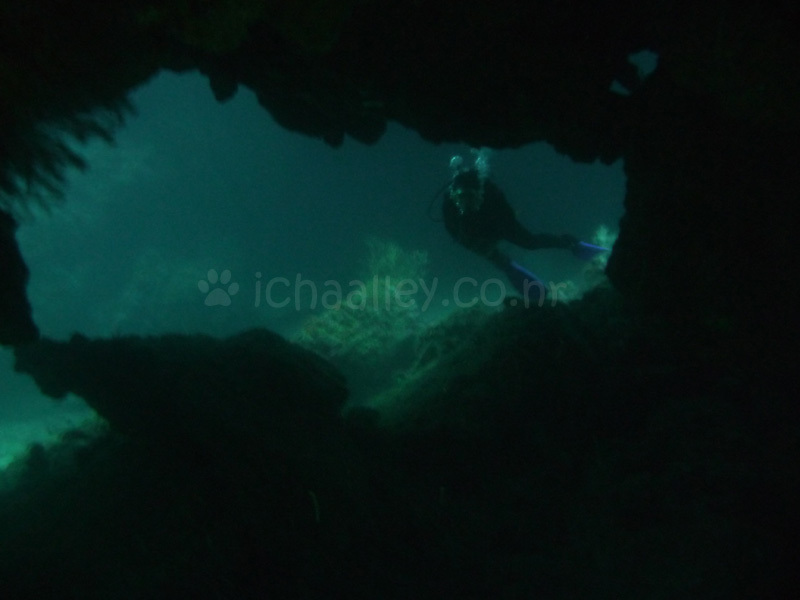 If you haven’t been diving before, it will change the way you look at what was previously a blank expanse of water. Whether you like it or hate it, you won’t be the same. You will feel tired, but happy. And, you know you’ll be back. me and my past, my trip review, share it!